Professional recording quality – on the go! 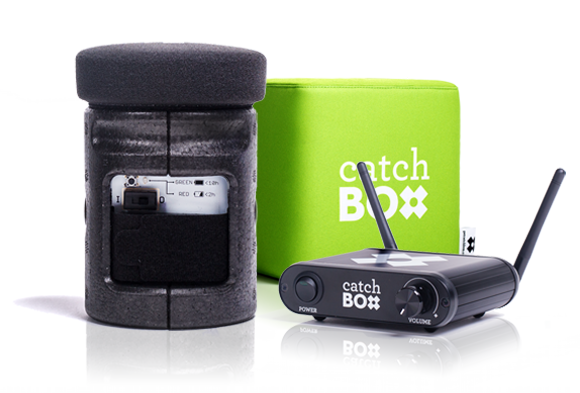 Active Automute senses the motion of the device, temporarily switching off the audio when the Catchbox is caught, thrown, or dropped. Links to an external receiver which can be connected to a computer, a speaker, or a sound mixer using the different adapters provided with the product.